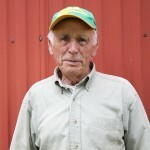 Jack Oles founded the Oles Family Farm when he bought the first parcel of land in 1963. Now largely responsible for beautifying the gardens around the farm house, Jack is still quick to hop on a tractor when called upon or hold court during the farm’s community events. Jack’s son Daniel has been farming since childhood, growing fruits, vegetables, grain, hay, and raising animals. As a fourth grader, he was the first official purveyor of Oles Family Farm produce, pulling a wagon full of vegetables for sale around his grandparents’ North Buffalo neighborhood. 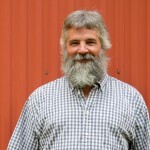 Dan took over the reins at the farm after graduating from college, and today serves as the crop planner and field manager, always keeping an eye on the fields. Jane Oles has been helping Dan farm since they met in their teens, and has loved the land ever since. You will find Jane happily chatting with CSA members at the farm during share distribution or just as happily out in the field pruning, weeding or picking vegeatbles. 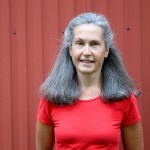 Jane is the author of our weekly newsletters and our nutritional enthusiast. Ben, Jane and Dan’s son, is the resident mechanic and fabricator. If the need arises, there isn’t anything that he can’t repair or build. 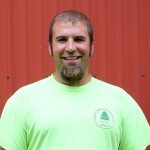 Ben is responsible for our compost operation which when mature is spread over the fields to build soil health. He also leads field crews on harvest days and is an essential figure in the care of our pasture animals. His tractor skills are put to work as he spends a good deal of time doing field tillage, planting cover crops and grain, and producing hay. Ben’s wife Crystal assists with animal care and harvesting, and is visible figure at our CSA distribution spots. Jane and Dan’s daughters, Meg and Pam, lend a hand whenever they’re able and Pam was instrumental in starting our CSA program. Pam manages our flower fields, growing and cutting beautiful bouquets for our restaurant partners. The newest generation of Oles – 11 grandkids and counting – help out around the farm by examining the mud puddles, sampling the berries, tomatoes, and “helping” harvest veggies keeping all of us on our toes.